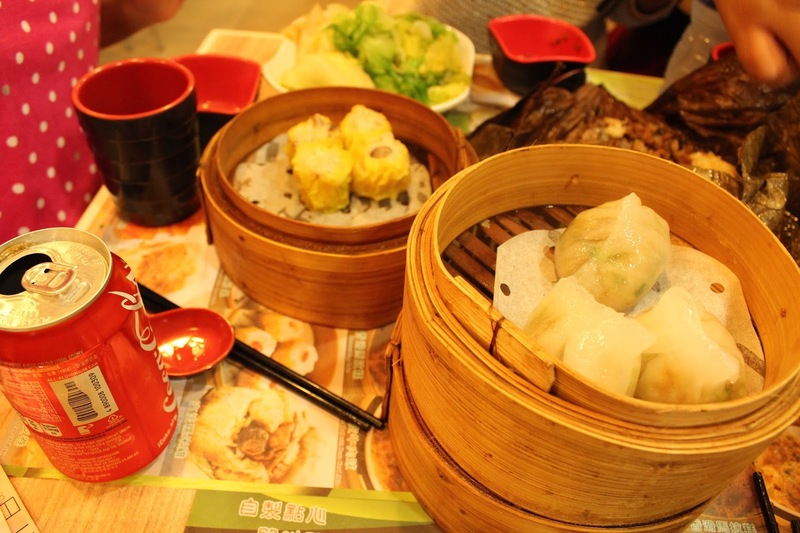 We are a family of dim-sum lovers. 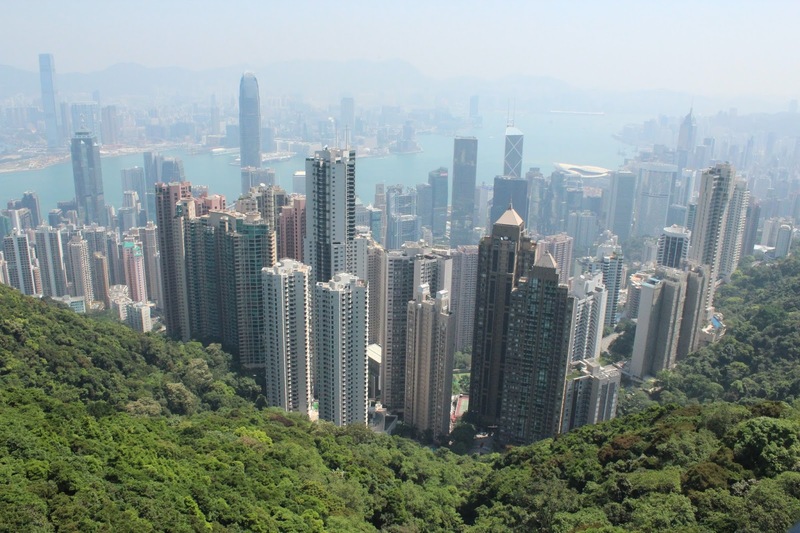 When we decided to book our flights to Japan on Cathay Pacific, I had to give in to the temptation of making a brief halt for a dim-sum tour of Hong Kong. This island was a refuge for fleeing Chinese from the mainland, first during the Mongol invasion and then again during the Opium Wars when the British wrested this island from the Chinese and made it a strategic military port. Immigrants from the East and the West brought with them culinary techniques that soon resulted in a medley of tastes and flavors that continue to tempt the palate. 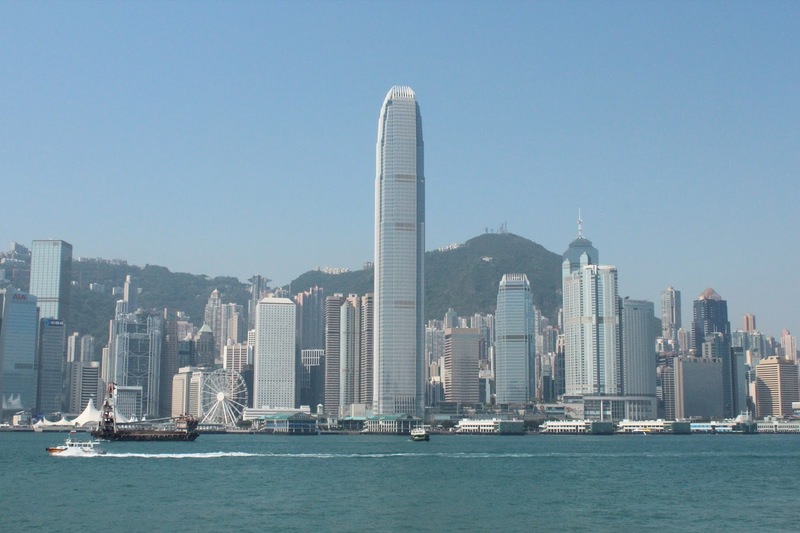 The W Hotel at Kowloon became our abode for this brief stay. The MTR station under the hotel made this a convenient spot for our lunch and dinner trips to different parts of this island city. 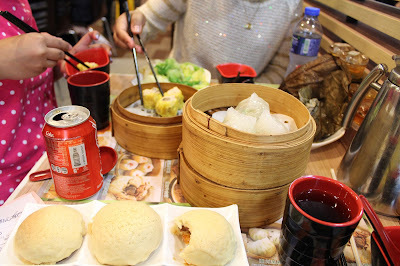 First on my list was Tim Ho Wan. 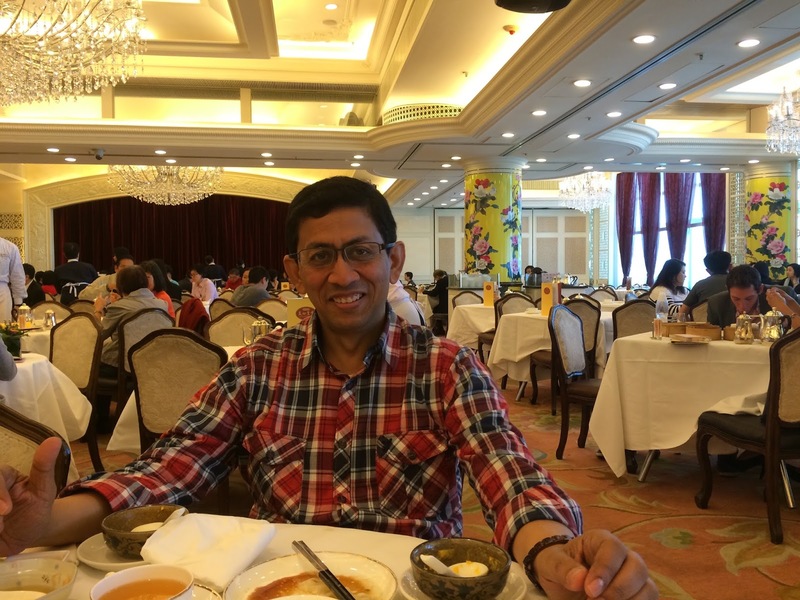 Known as the cheapest Michelin Star restaurant, this restaurant now has multiple outlets all over the world. However, it was in HK that they actually won the star. 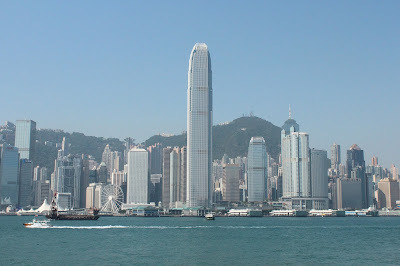 We took a ferry to get to their IFC Mall location. Like at every one of their outlet, there was a crowd of people waiting to get in. We got seated rather quickly to our surprise and having been to their Singapore outlet knew the drill well. I had already marked out our choices on the little slip they keep at the counter and within a matter of minutes steaming bamboo baskets of freshly made dim-sums had filled our little table. 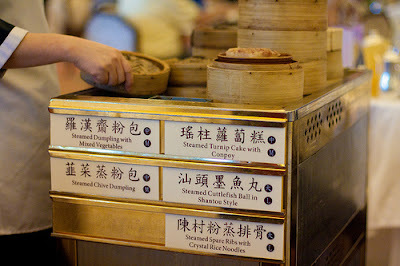 The star of the show came quickly after: the Cha Sui Bao: Hong Kong’s popular pork buns made here with a special twist. 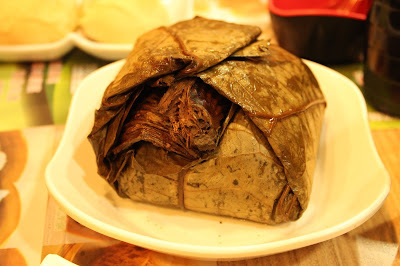 Tim Ho Wan makes his bun with a crisp thin and sweet exterior filled with steaming barbecued pork inside. 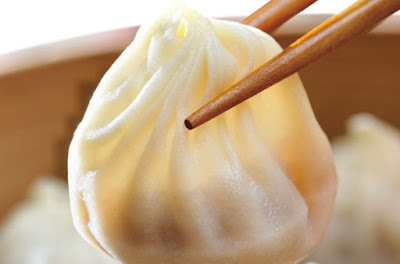 It is lighter than the traditional pork buns and exquisite in taste. The other dim-sums measured up too. The steamed prawn dumplings, the sticky rice in lotus leaf, the pan-fried carrot cake, they all got devoured rapidly! We ate way too much, but this time no one was complaining. It was a bright day and we had just come down from the peak that afforded us amazing views all around. All we wanted now was to get back to our hotel and get some rest. 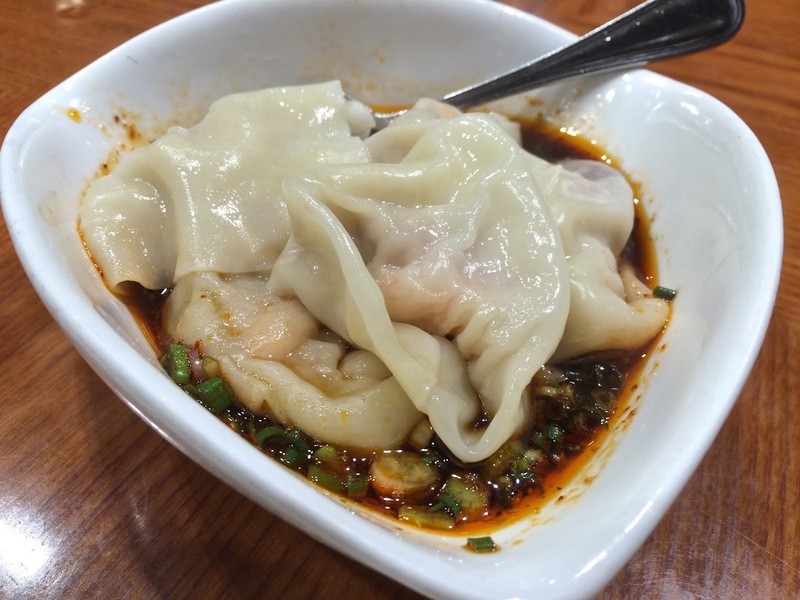 It was Din Tai Fung’s turn next. This restaurant actually grew out of Taiwan into a very popular chain of eateries before making its way to Hong Kong, Singapore and other countries. However, it was their Hong Kong outlet that won a Michelin Star. Kowloon was brightly lit up in the evening and the streets were crowded with tourists that had just gotten off a cruise ship. We were glad to get off the streets and into the air-conditioned interior of the restaurant. In the display-kitchen, we could see the chefs hard at work making those delicate morsels their patrons come here for. 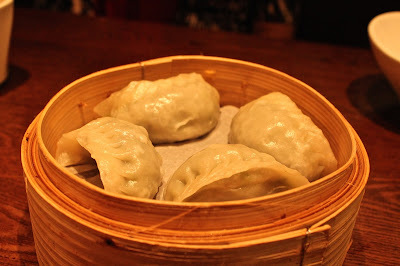 We ordered their famous ‘soupy’ dumplings, the Xiao Long Bao. I have described their process of making this signature dish during an earlier visit. We savoured them along with a variety of other delicacies before calling it a day. Finally, I returned to Maxim’s Palace after a gap of several years. Maxim’s is a popular dim-sum restaurant that still serves these delicacies in the traditional manner from pushcarts. As the waiters push their carts by your table, you can point to the dim-sum you want and they will serve it to you. Maxim’s is as busy as ever with a large number of people queuing up during lunch and dinner. When at Maxim’s remember to get the mango pudding at the end; you won’t regret it! 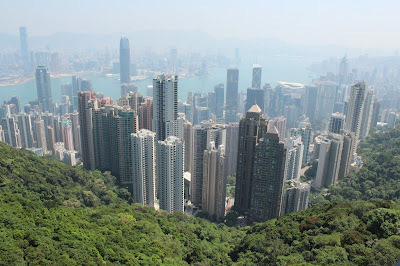 Hong Kong was so different from Tokyo and Kyoto. Arriving from Japan, the differences were immediately striking, especially when we were people-watching on trains and buses. Like India, Hong Kong (and I guess all of China) is filled with energy, impatience and a constant feeling of managed chaos. In Japan, on the other hand, you sense order, discipline and peace but also a lack of the exuberance and youthful energy of younger countries. What they have in common though are great food experiences that made our vacation so memorable.